Imprint Area Approximately 5 7/8" in diameter depending artwork. 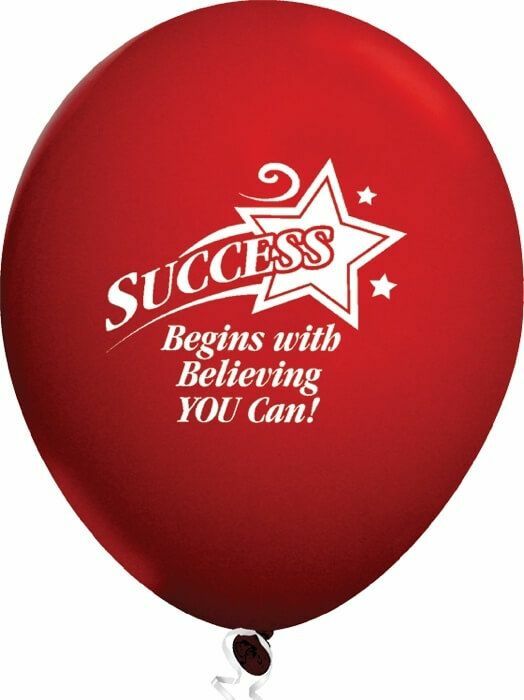 Material Details Our latex balloons are helium quality, earth friendly, and 100% biodegradable! Please note that balloons ship DEFLATED. Production Time 5 business days. Rush: 2 business days ($15.00 charge per 500 pieces applies. Virtual proofs are not possible with rushes). Express shipping options available at check out. Thrilled with the balloons and the fast turnaround. Service was exceptional, and the balloons look great! I received everything in time and we had a wonderful opening! Thank you for helping us draw attention from miles away!